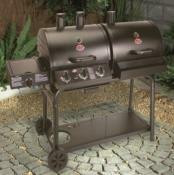 A super designed American gas barbecue smoker. The char-griller from the USA is an excellent choice if you want to grill, roast or smoke food for friends and family. Great looking BBQ supplied with one of the largest warming racks to provide lots of space on the cooking area even when grilling. Also designed for indirect cooking so you can roast the Sunday dinner or smoke some baby back ribs. Excellent for grilling, roasting and smoking and will give results similar to cooking over charcoal. 3 Burner plus side burner. Porcelain coated cast iron grills for even cooking plus large integrated warming rack. Complete with gas regulator and hose. 3 section cooking grills are easy to remove and clean. 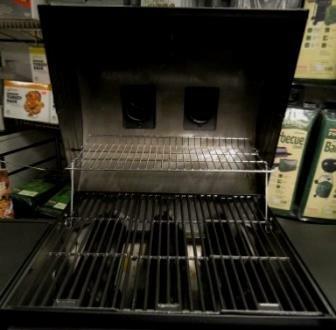 Add the specially designed Char-griller Cover for this BBQ. 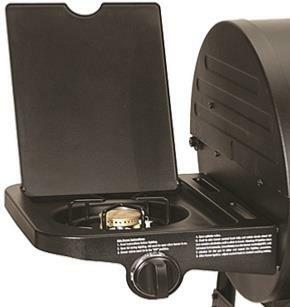 At last a gas barbecue designed to really roast and smoke your food. Roast a leg of lamb or why not try smoking your own ham. 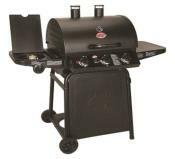 Smoking ribs or sausages is easy and require little effort with this American style gas smoker. Also grills burgers and chicken fast with the enamelled cast iron grills which are excellent for retaining heat. 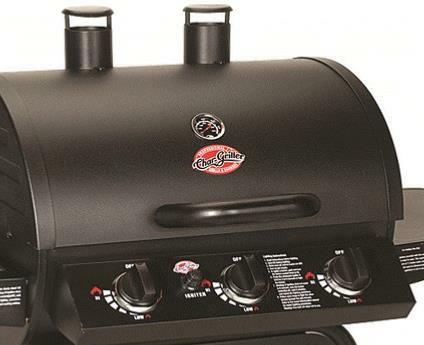 The best gas BBQ available in this price range. 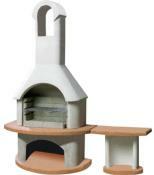 You can add a rotisserie. You can add a charcoal smoker box. 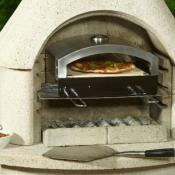 Recommended product by Planet Barbecue for excellent design.